THE HAGUE, February 5. /TASS/. 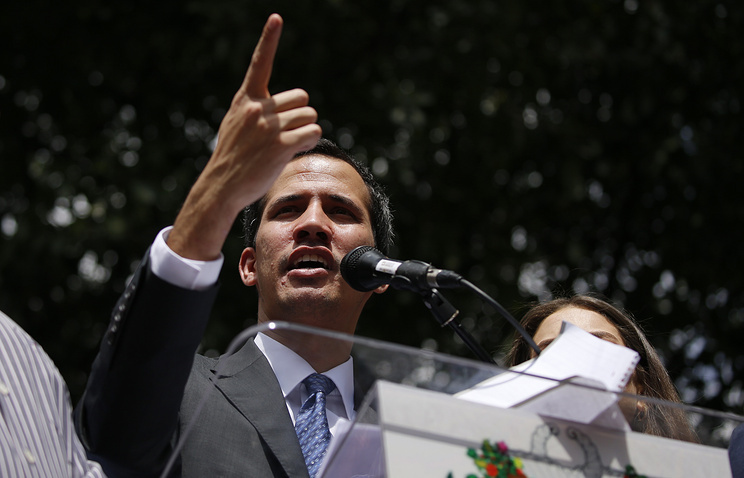 Venezuelan opposition leader Juan Guaido hopes that Nicolas Maduro will quickly and peacefully leave the presidential post, he said in an interview with the Dutch newspaper de Volkskrant on Tuesday. "Of course, I hope for it," Guaido said, answering the question on whether he hopes for the Venezuelan president to step down quickly. "I also hope that he will leave peacefully, possibly with lower social costs for the population. Then we will be able to quickly start the restoration, organize a free election and attract foreign investors." "However, I also think that Maduro is remote from reality, and it arises serious concerns," the opposition leader noted. "He continues to deny that we need humanitarian help, and he continues to deny that Venezuela is experiencing a migration crisis." "The best option is for him just to resign," he added. "Still, we cannot lay hopes on the dictator’s good will, so we have to continue to exert pressure." On January 23, Juan Guaido, Venezuelan opposition leader and parliament speaker, whose appointment to that position had been cancelled by the country’s Supreme Court, declared himself interim president at a rally in the country’s capital of Caracas. Several countries, including the United States, Lima Group members (excluding Mexico), Australia, Albania, Georgia and Israel, as well as the Organization of American States, recognized him. Maduro, in turn, blasted the move as a coup staged by Washington and said he was severing diplomatic ties with the US. In contrast, Russia, Belarus, Bolivia, Iran, Cuba, Nicaragua, El Salvador and Turkey voiced support for Maduro, while China called for resolving all differences peacefully and warned against foreign interference. The United Nations secretary general, in turn, called for dialogue to resolve the crisis.